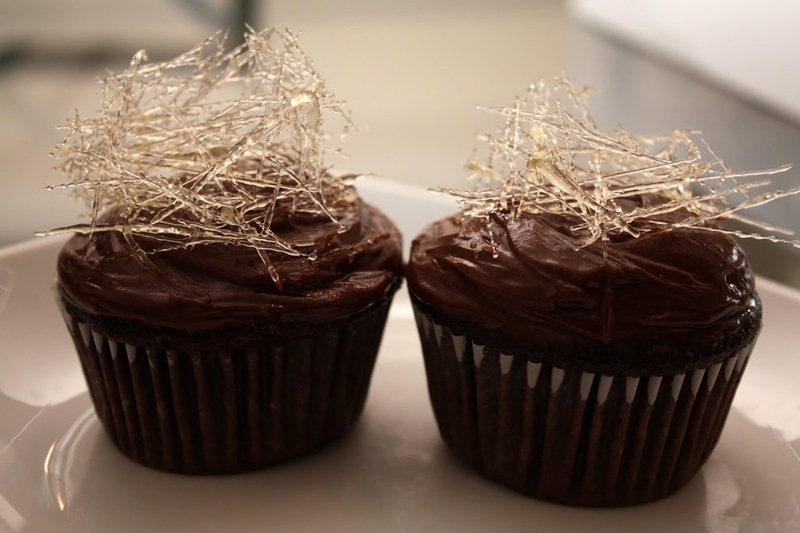 My co-worker gave me a Cooks Illustrated recipe for Ultimate Chocolate Cupcakes with Ganache Filling, which I tested out over the weekend. These are delicious and indeed quite ultimate! The rich, moist chocolate cake is made with melted bittersweet chocolate, and has a hint of coffee in it that really enhances the chocolate flavor. 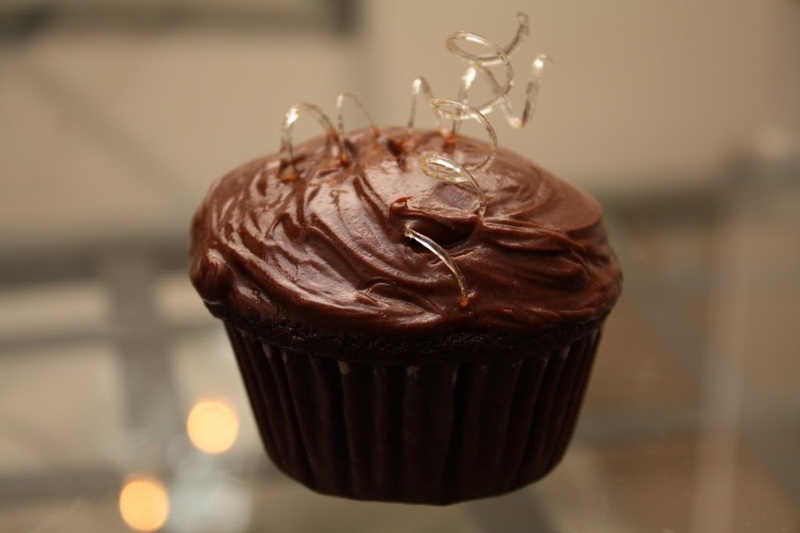 The cupcake is also filled with a smooth, creamy ganache. Out of the oven, this cupcake tastes and looks like a chocolate soufflé. I chose a dark chocolate frosting that has a soft and smooth texture much like the ganache filling. For the topping, we decided to experiment with spun sugar crowns. It is going to take us some more practice to fine-tune this skill, but we were able to put together a couple crowns and spirals. Anyone have tips for cleaning caramelized (or crystallized) sugar from saucepans? can you send me one in the mail? Beautiful but so delicious looking as well. This is edible art!